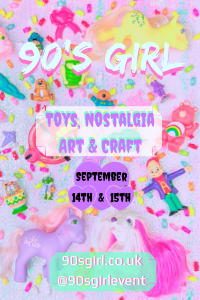 Images on this page thanks to Sloane Crosley, Museum of Play, Etsy seller WonderlandToys and eBay sellers cathym101 , pitts3154 and jenmadlyn ! 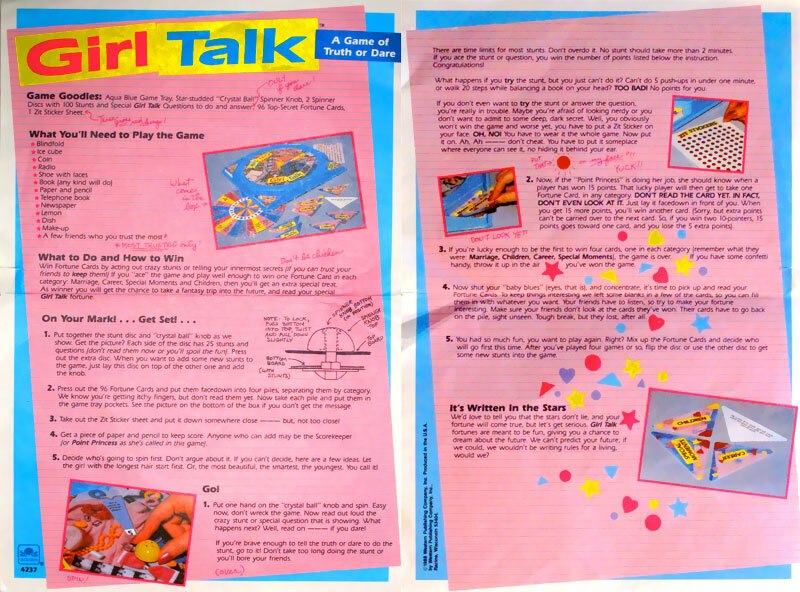 View all Girl Talk on eBay.com or eBay.co.uk! 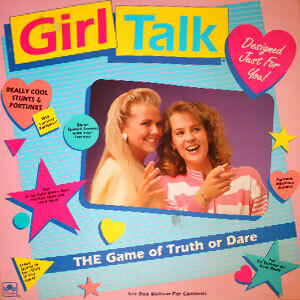 "Perform Hilarious Stunts and share secrets!" 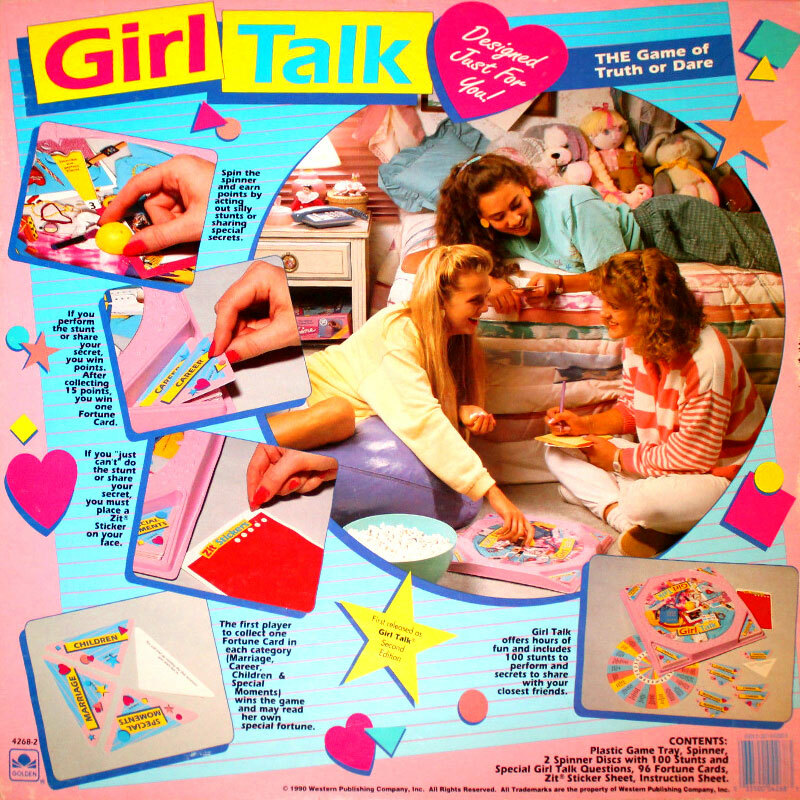 Girl Talk was produced in 1988, with a second edition released in 1990 with new stunts and fortunes. 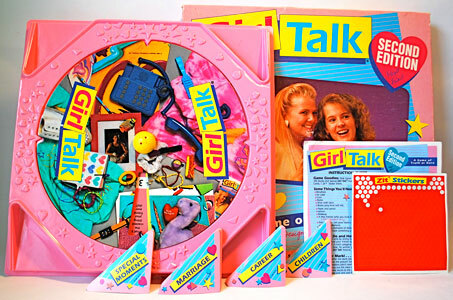 At first, the packaging stated clearly that it was a second edition with new cards inside, but then the title was removed and it was just noted on the back as having been previously released as "Girl Talk Second Edition". 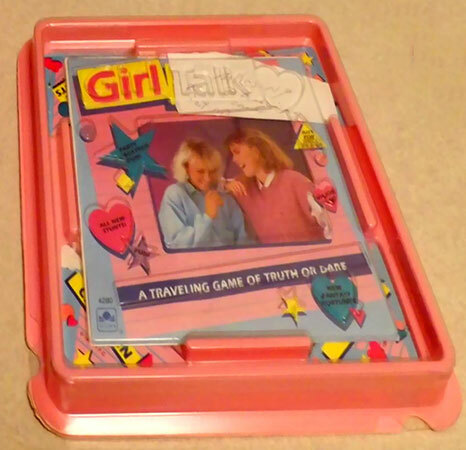 The first edition game tray was blue, the second pink. 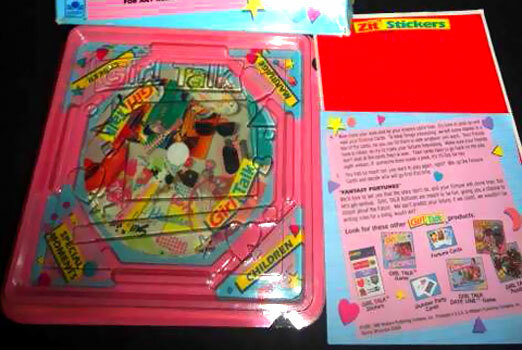 The image on the spinner was also different and the Zit Sticker Sheet was a slightly different size. The second edition stunts and fortunes had different things written on them to the first edition. 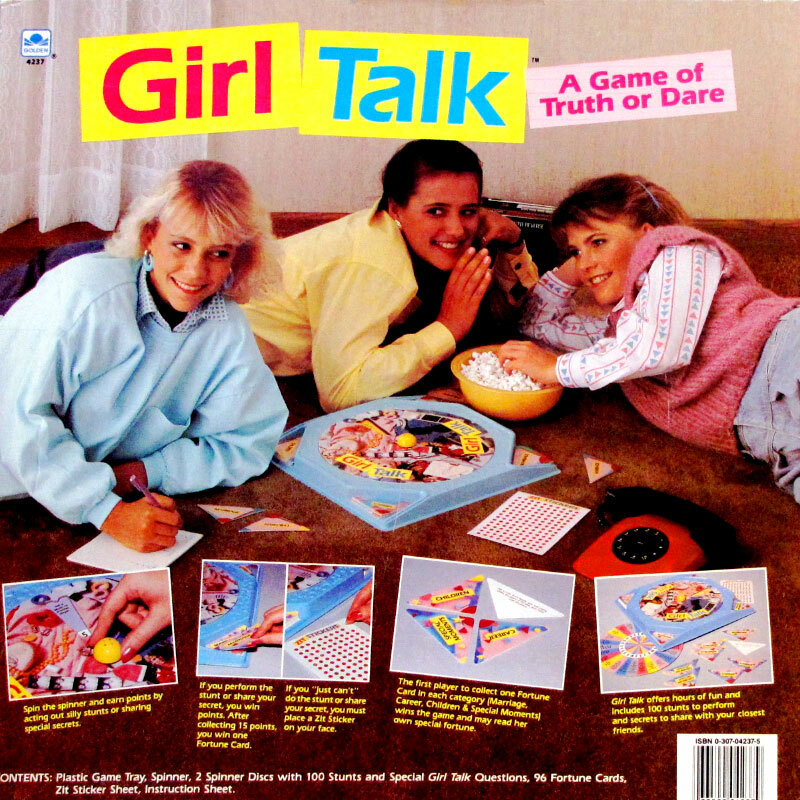 The image on the back of the box differed on the second edition. 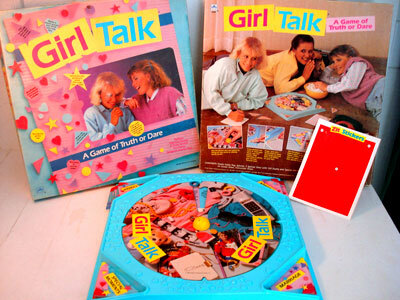 "Now Girl Talk can go with you anywhere! 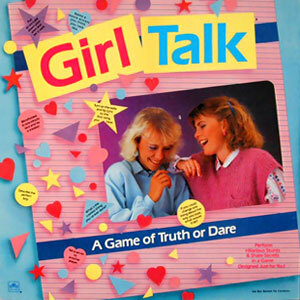 This new mini game offers all the fun of the original Girl Talk Game. 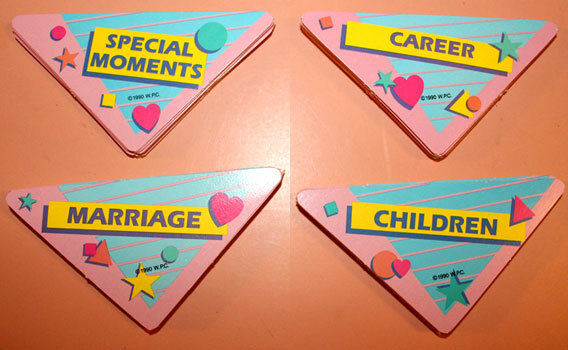 Win points by performing crazy stunts or sharing special secrets. Win enough points and tell your very own fantasy fortune! 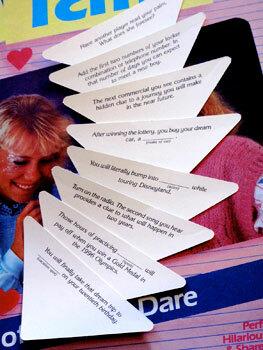 A two-sided spinner features party stunts on one side and travel stunts on the reverse side. 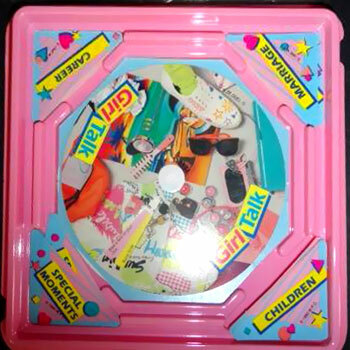 Play it, pack it in your backpack. 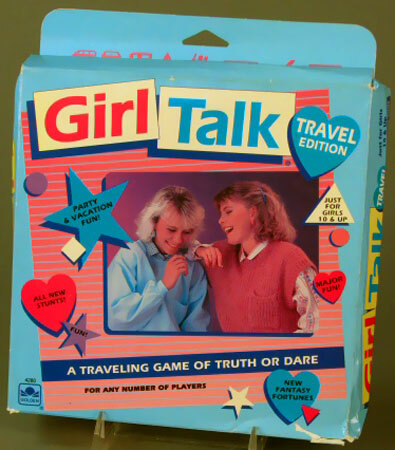 On the road or at home, Girl Talk Travel goes anywhere that you do!" 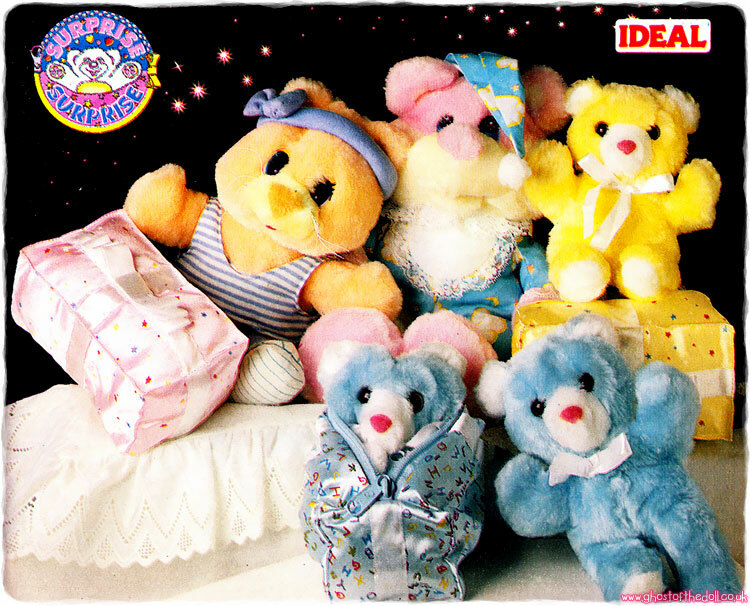 The travel edition was produced in 1990. 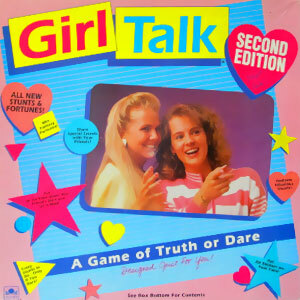 It can't have been a big seller as it is quite hard to find second hand, unlike the full size games. It's a shame I can't find any larger images as there are other available items pictured on the back of the packaging which look like stickers, fortune cards and some other bits too.